Hang This Striking Quilt for the Holidays and Beyond! Invite colorful cardinals inside and enjoy them all winter. Their bright red coloring is set off beautifully against white snow, gray sky and black feeders. 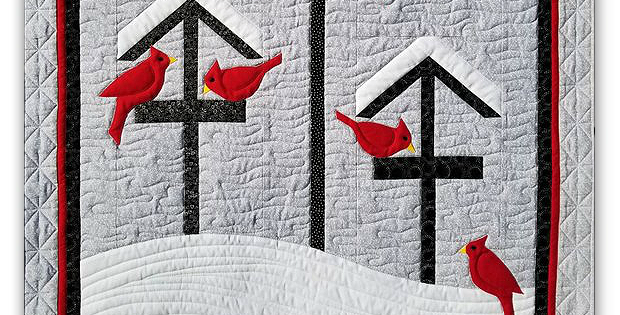 The result is an eye-catching quilt to display every holiday season or all winter long. Display this beautiful quilt on a wall that needs a focal point. It’s sure to impress all who see it. Easy piecing is used for the background. Your choice of applique can be used for the birds. Just be mindful of adding or deleting seam allowances to fit the technique you choose. The finished quilt, from Quilt Fabrication, is 32″ x 35″. 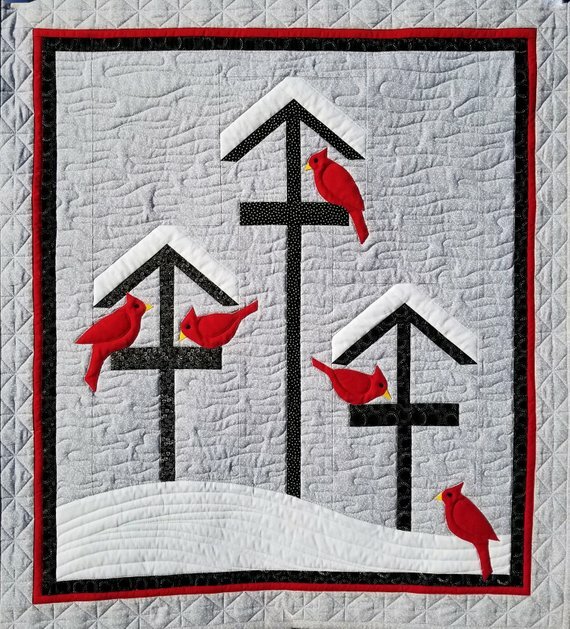 Click here to purchase the “Winter Feed” quilt pattern.